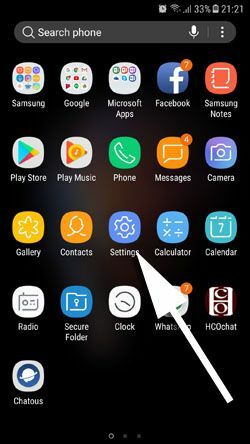 If you need to use WhatsApp but if you don’t have any internet connection, here is the simple way to use WhatsApp without internet. You can follow the steps which we will provide at next paragraph for you. However at the first, let us give you information about this feature a little bit. This feature is not free at all. You will use the internet through your GSM company again and you will pay for the internet connection. 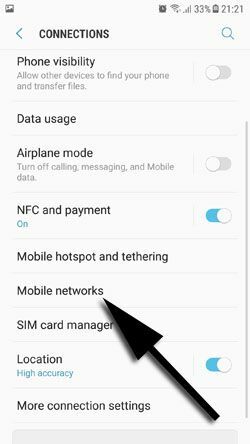 Your GSM company won’t notify you about data you have spent while you are using settings on your phone and all data you have spent will appear after you start to use your normal settings. Let’s begin to tell you how to use WhatsApp APN. 1-) Tap “Settings” on your Android device. 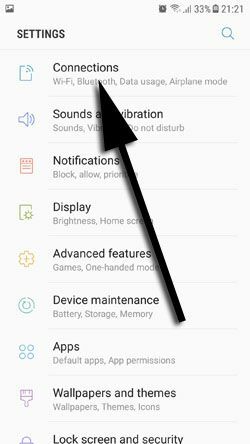 2-) Tap on “Connections” on the settings page of your Android device. 4-) Tap “Access Point Names“. 5-) Tap “ADD” button which is located top right of your screen. Please see the picture below. 6-) Now you will need to add following values to some items. Name: You can name your connection as you wish. We recommend WhatsApp APN for this. This doesn’t exist for every device. APN: It should be WhatsApp APN. This is all you need add for settings. After you are done with these settings, tap on three dot menu and tap on save. 7-) Select “WhatsApp APN” from the connection list. You can see more details in the picture below. You are done! Now you can connect to WhatsApp APN, when you lose your internet connection. It will be a good life saver when you need to use WhatsApp and when you don’t have internet connection for that. We recommend you to have these settings on your phone but not use oftenly. If you have any question related with using WhatsApp without internet, please let us know through commenting this page or asking us through Q&A service.